Let's walk through the garden. My sweet friend, Danni, of Silo Hill Farm has asked me to label the photos from Yesterday's Post. Here ya go, Danni! 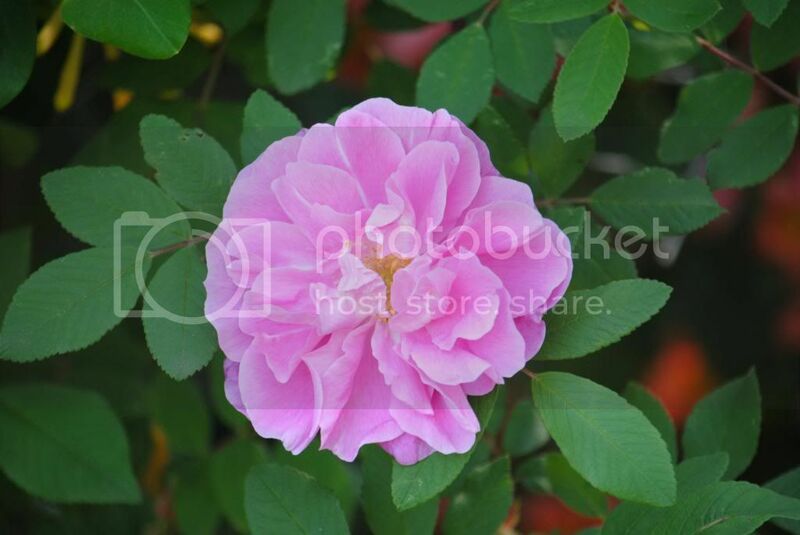 This medium pink, fragrant, rugosa rose is Therese Bugnet. Here is Therese again with native yellow trumpet honeysuckle (lonicera) and native crossvine (bignonia) in the background. 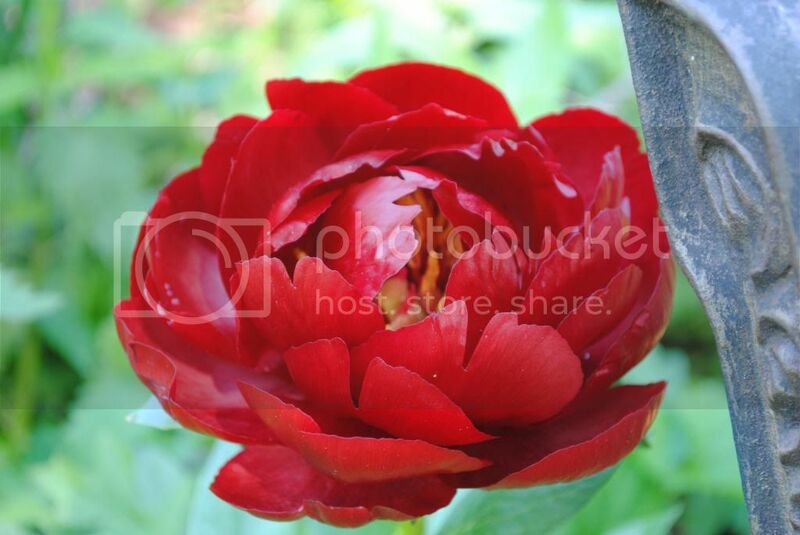 The name of this peony is Buckeye Belle. When she first opens, the petals are almost black, then fade in the sunshine to magnificent shades of red. 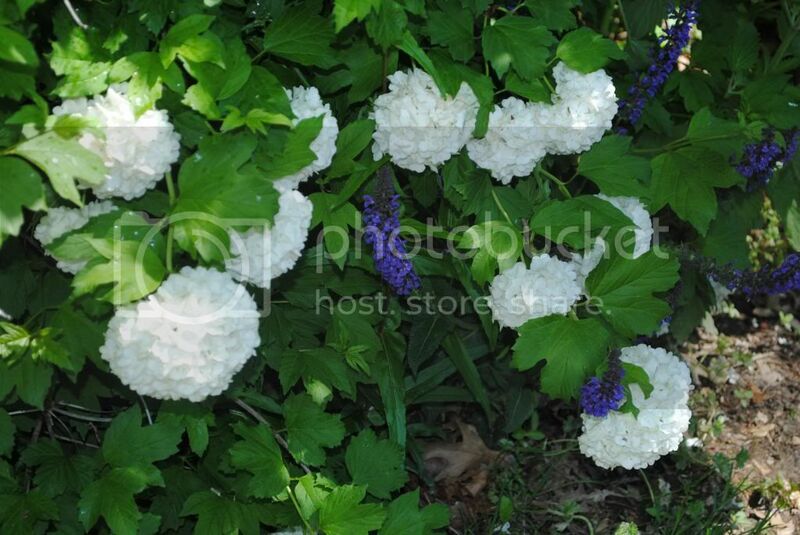 Snowball bush (viburnum) with salvia. 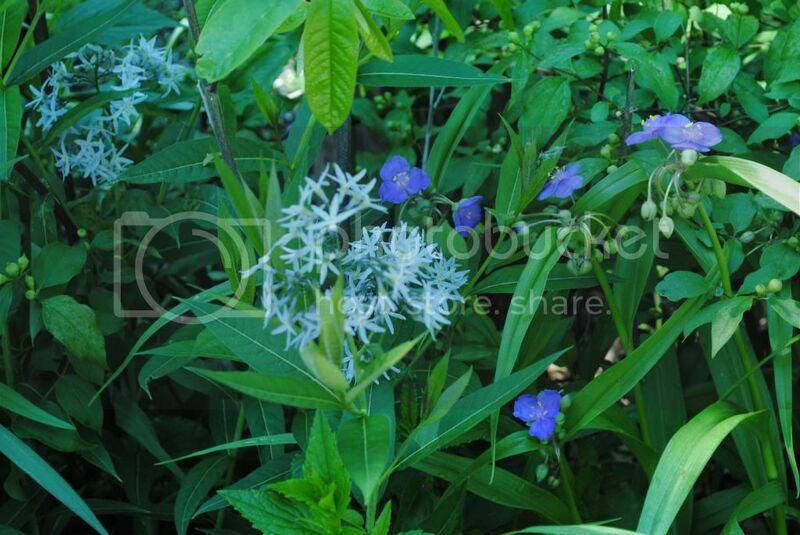 Amsonia flanked by purple spider wort. 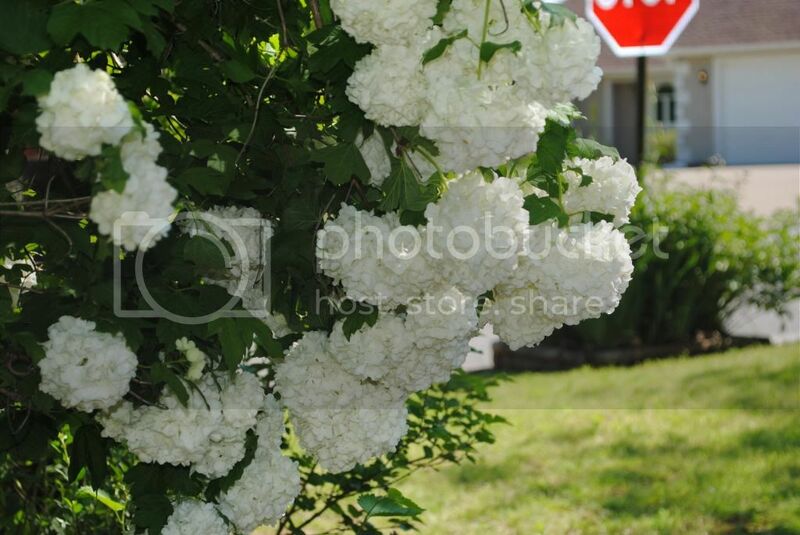 Viburnum against the stop sign. 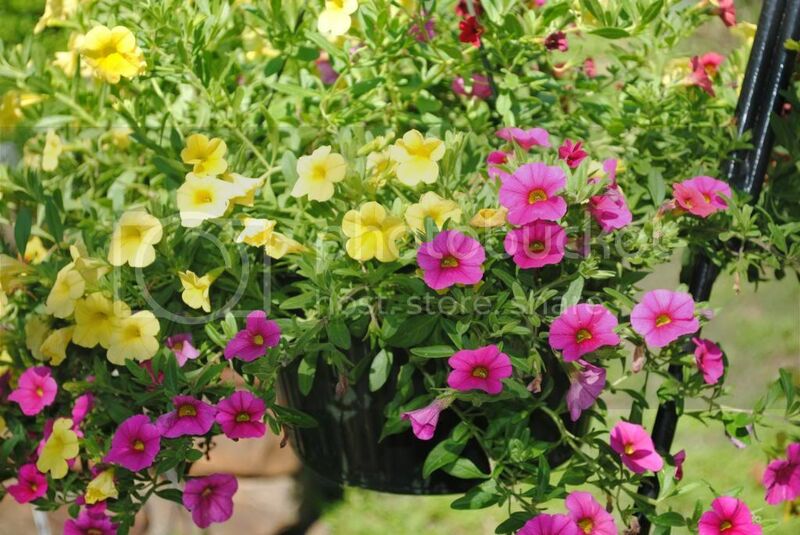 Three colors of million bells (calibrachoa) in a hanging basket. 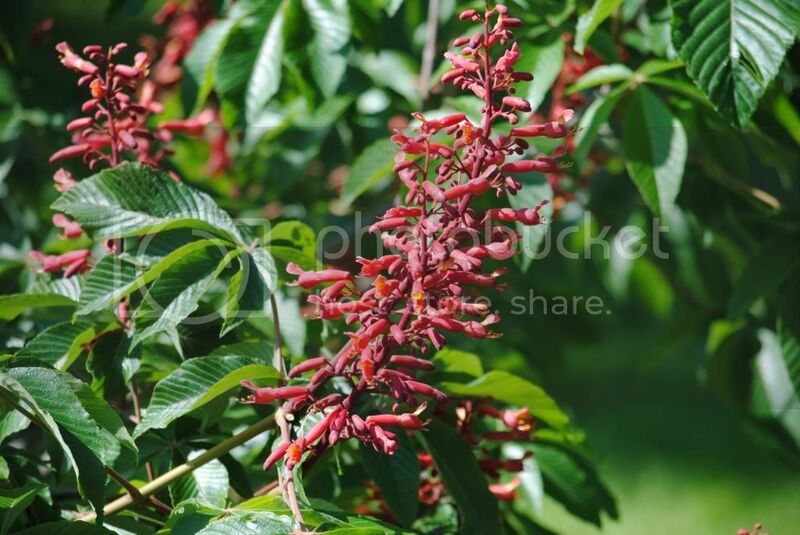 Red Buckeye (aesculus pavia). I've actually written an entire post about it. Coming soon! This peony is Coral Charm. A stunning color, but not fragrant at all. GORGEOUS!! I love Iris' and Peony's. If i ever get a house with a yard, i am going to need your expertise to start my garden. I love that you labeled the flowers so I can ask for my faves at the garden center! I'm pretty bad at remembering names of flowers and plants, so I always love to see blog posts that show the names! 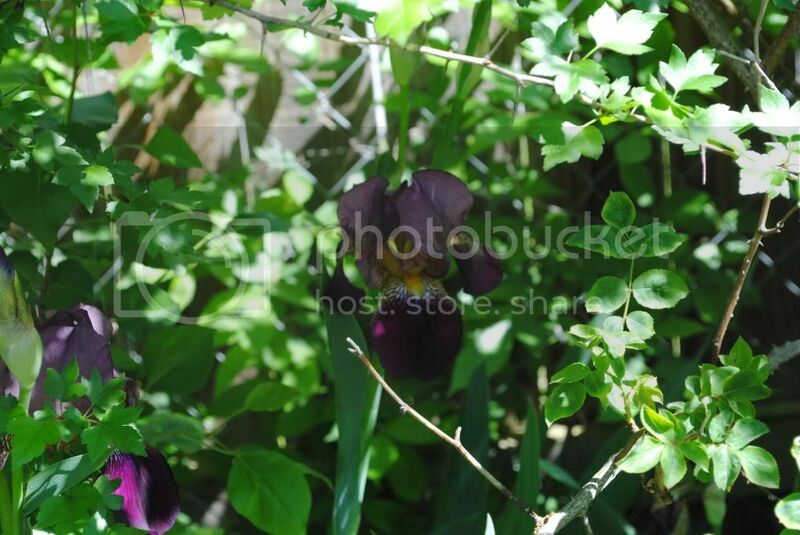 I like that deep purple iris. Oh you are just way too sweet! Thank you so much for labeling these! I saw some that I had never seen before and want!! I love that Red Buckeye and am looking forward to that post. 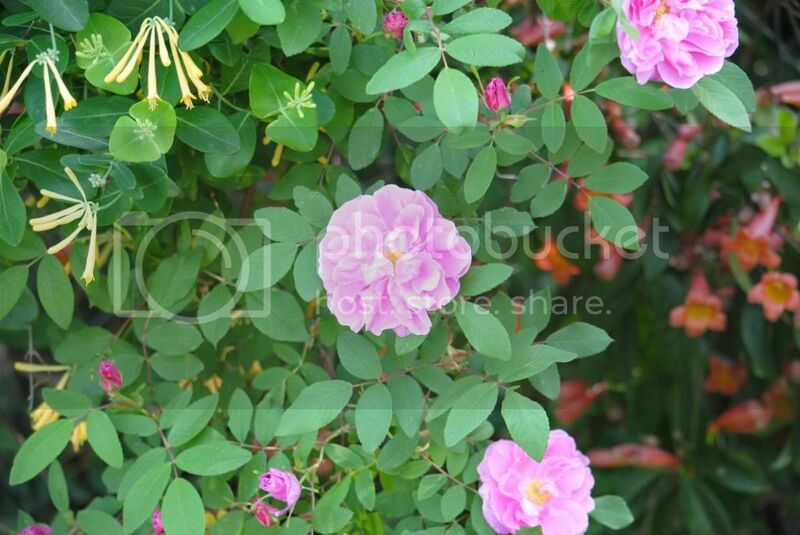 I just pinned this post because I love your flowers and your pictures are gorgeous! I just knew that rose was Therese Bugnet! I worked at a nursery when I was in high school, and that variety was my favorite of all the ones we sold. I've got three of them growing in my yard right now. I guessed right on the roses! Therese Bugnet are my favorite, I've got three of them in my yard. Lovely!! 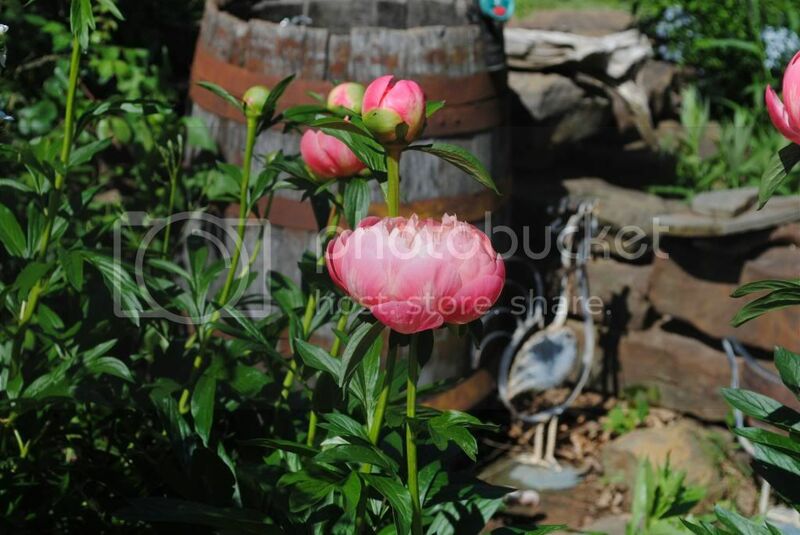 - my favorite of these pictures is the Buckeye Belle peony. Thanks for linking to my "Themed Blog & Shop Hop"! I love your Buckeye Belle peony! Simply gorgeous! 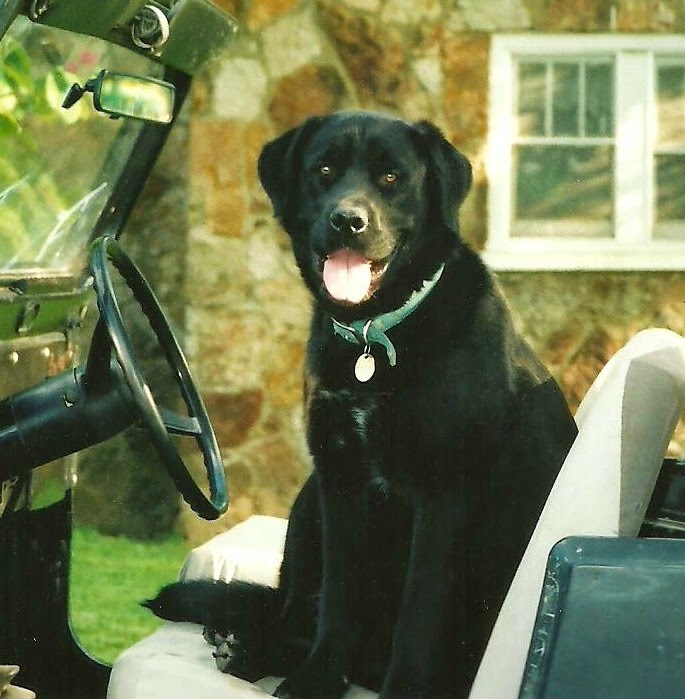 Dropping by from the Farm Blog Hop. I am so jealous of all of your pretty flowes. We have had a late and snowy spring here in Colorado so things are pretty late blooming. Wow! Love the Snowball bush with the Salvia - those colors together just make us happy! I love all of the beautiful blooms! Thanks for sharing at Tuesdays with a Twist! Looking forward to seeing what you share this week. Love your flowers. Thanks so much for sharing with Adorned From Above's Blog Hop 55. We can't wait to see what you have for us this week. This weeks party is live. 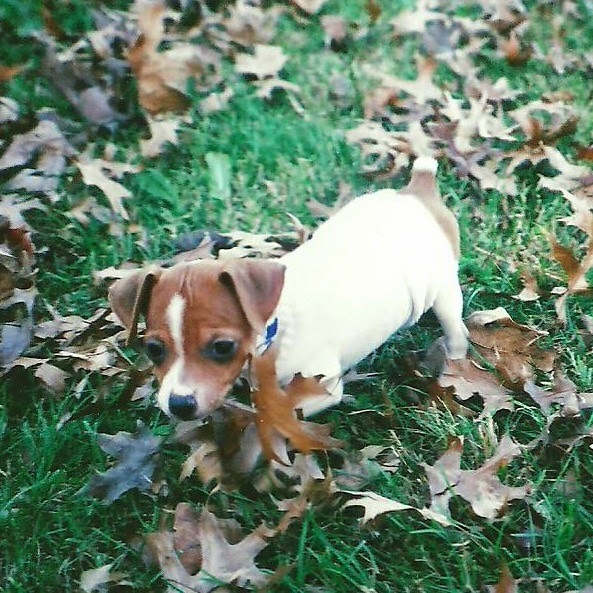 Thanks so much for sharing these beautiful photos at Photog Show and Tell! Beautiful flowers! I love taking pictures of flowers too.